Katie Macauley was eight when her family lost their land during Ireland's Great Famine. Her father became a broken man and her younger sister died. Katie blames herself for this loss and vows to make it up to her family even as she enters into a life of servitude from a young age and is separated from her family for good. Eventually she takes on the position of housekeeper in Hope Springs, Wyoming. But the small town is divided because the Americans despise the Irish. 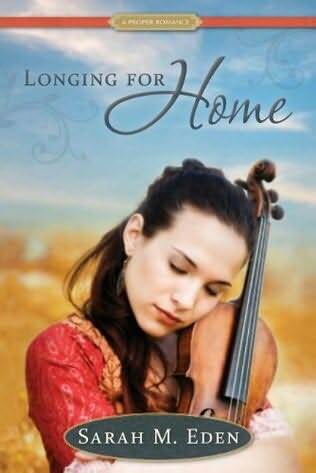 Despite this feud, Katie finds a family among the Irish immigrants and must decide whether to follow her heart in Hope Springs or return back home to gain her father's forgiveness. I enjoyed this heartwarming novel mainly because the author has a way with dialogue and was able to bring the Irish expressions and culture to life. I was pulled into the story immediately because of the witty banter between Katie and the O'Connor brothers. Katie was an interesting character, feisty and vulnerable at the same time. I was intrigued by the events in the past that had turned her into such a reclusive figure with barely any friends in the twenty years she was in servitude. Halfway through, however, it began to drag a little for me. The plot was good but came in second to the romance. I would have gladly forgone some pages of dialogue that was sweet but that no longer moved the plot along for me. (This is a long novel of 432 pages.) As a result the story was a little anticlimactic for me. Everything pointed toward a climactic event between the townsfolk because of the tension the author skilfully built from the beginning, but it didn't really happen or perhaps not like I thought it would. Also, the change in Katie's personality was too drastic in the few months she was there. It was like she was a different person altogether and some of her internal conflicts no longer seemed important to the story. Apart from these issues, this was a good story. If you like clean romances with good characters in a genre not labelled Christian fiction, then I suggest you try this one. To read more reviews, please visit the blog tour page. 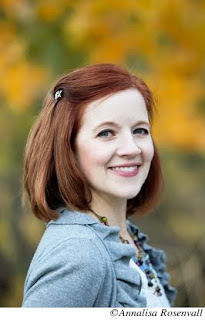 Sarah M. Eden is the author of multiple historical romances, including Whitney Award finalists Seeking Persephone (2008, Covenant Communications) and Courting Miss Lancaster (2010, Covenant Communications). Combining her obsession with history and affinity for tender love stories, Sarah loves crafting witty characters and heartfelt romances. She holds a Bachelor's degree in research and happily spends hours perusing the reference shelves of her local library. Sarah has twice served as the Master of Ceremonies for the LDStorymakers Writers Conference, acted as the Writer in Residence at the Northwest Writers Retreat and is one-third of the team at the AppendixPodcast.com. Sarah is represented by Pam van Hylckama Vlieg at Foreword Literary Agency.